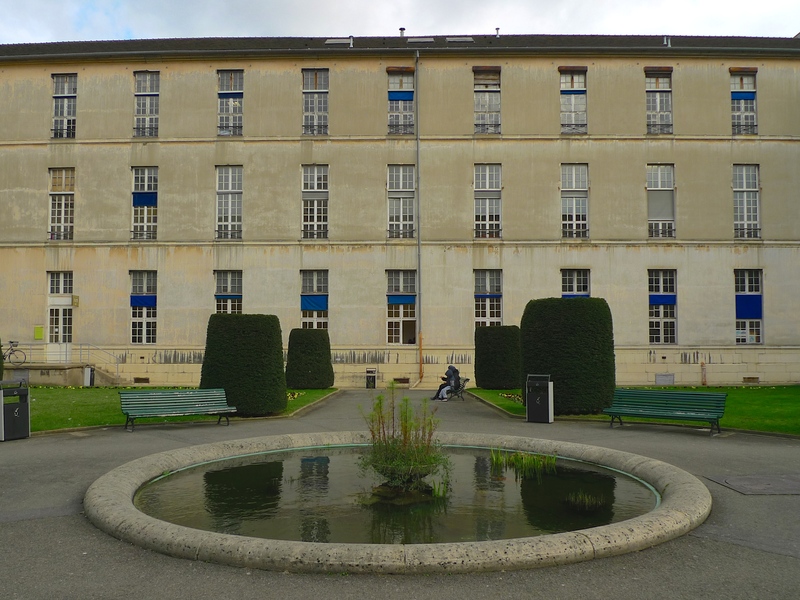 FOUNDED BY NAPOLEON III in 1863 as an asylum, the Centre Hospitalier Sainte-Anne in rue Cabanis in the 14th arrondissement is now not only an official monument historique, it’s also a hospital specialising in psychiatry and neuroscience. The origins of the hospital date back much further though. 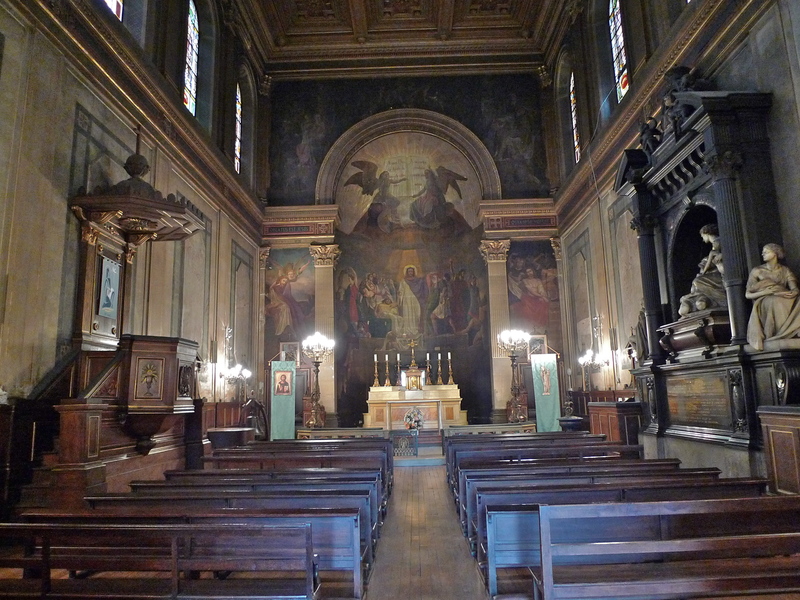 On 7th July 1651, the governors of the Hôtel-Dieu and representatives of the Queen regent, Anne of Austria, signed a contract in which the Hôtel Dieu gave up buildings and land of the Maison de la Santé in Faubourg St Marcel in exchange for which the Queen regent gave twenty-one acres of land to establish a hospital. 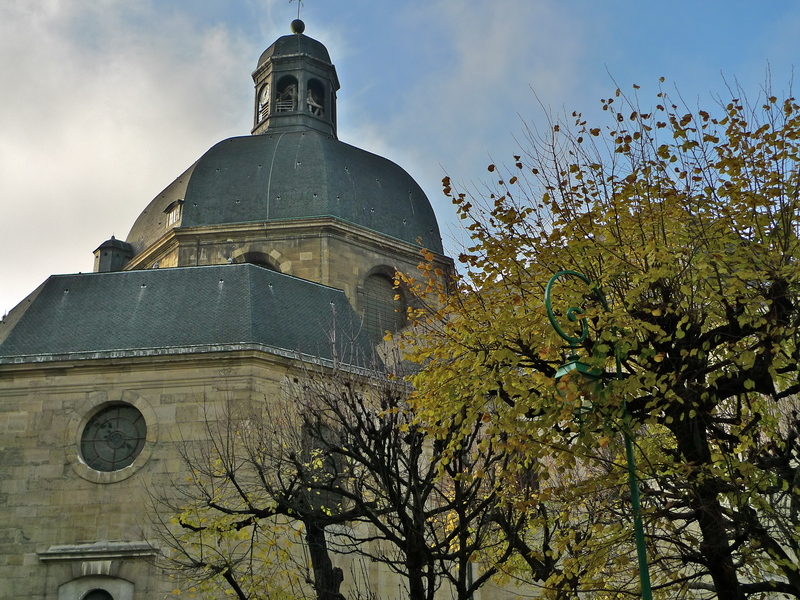 A condition was that the new hospital should take the name of the patron saint of the Queen regent, mother of Louis XIV: Saint Anne. 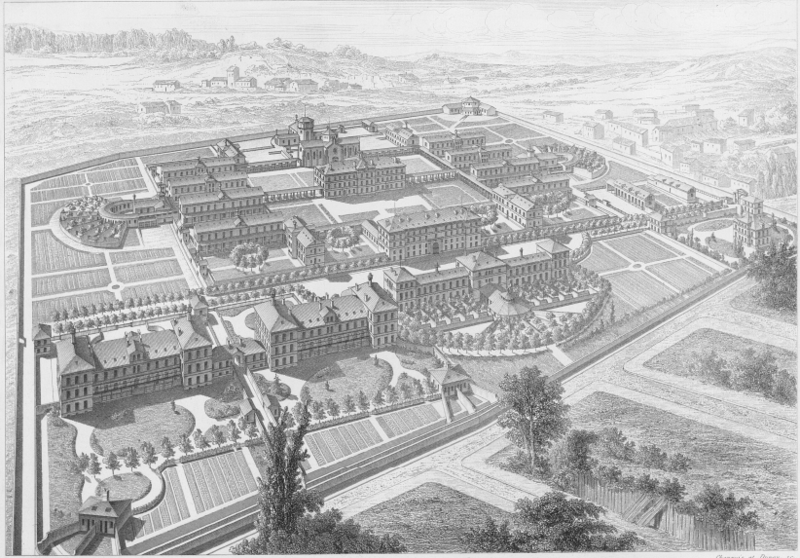 The hospital began as a farm, la ferme Sainte-Anne, which employed inmates from the nearby Asylum de Bicêtre, a notorious prison and lunatic asylum, but where in 1793, Superintendent Philippe Pinel is credited as being the first to introduce humane methods into the treatment of the mentally ill. 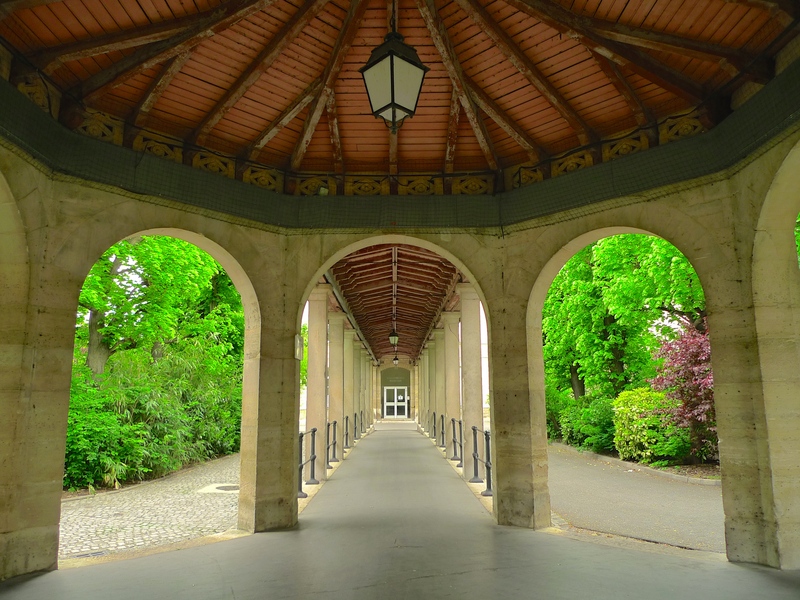 In 1863, Napoleon III decided to create a psychiatric hospital in Paris on the site of la ferme Sainte-Anne. 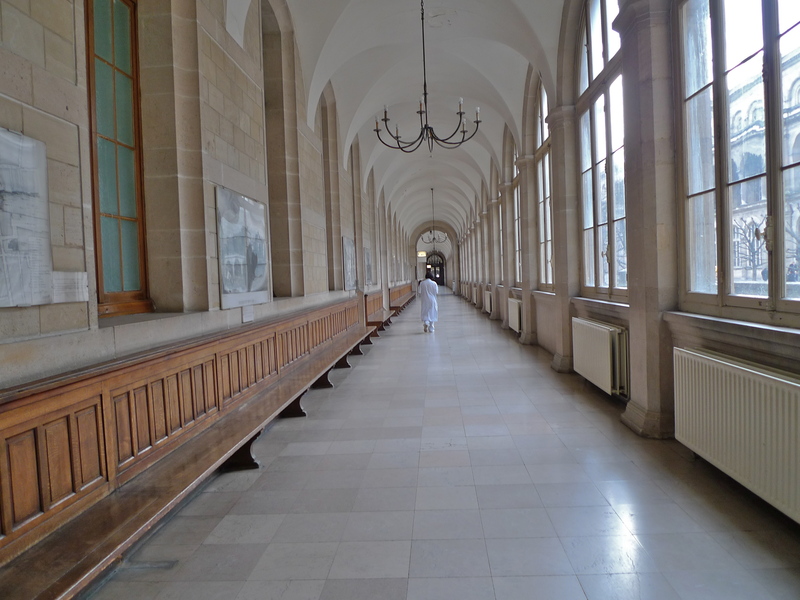 The Centre Hospitalier Sainte-Anne was to be a clinical asylum marking a shift of emphasis from just the containment of the mentally ill towards research into and the treatment of mental illness. 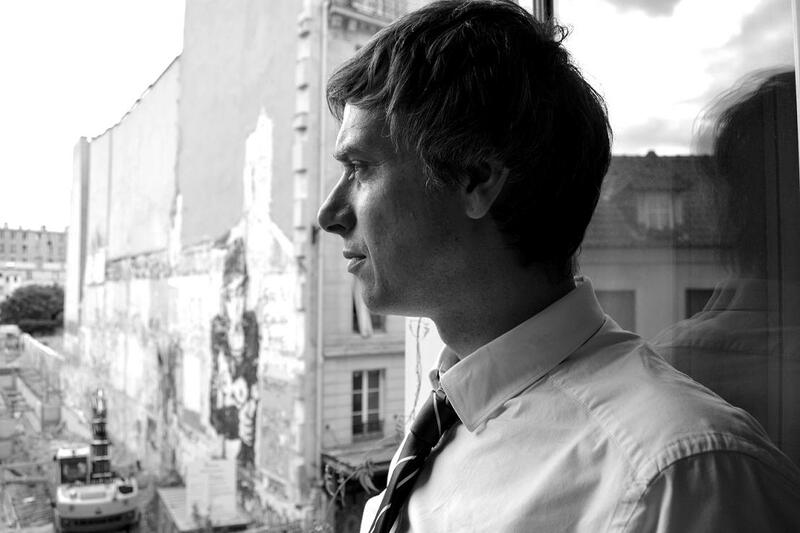 The French architect Charles-Auguste Questel took charge of the project and work proceeded over a period of four years. 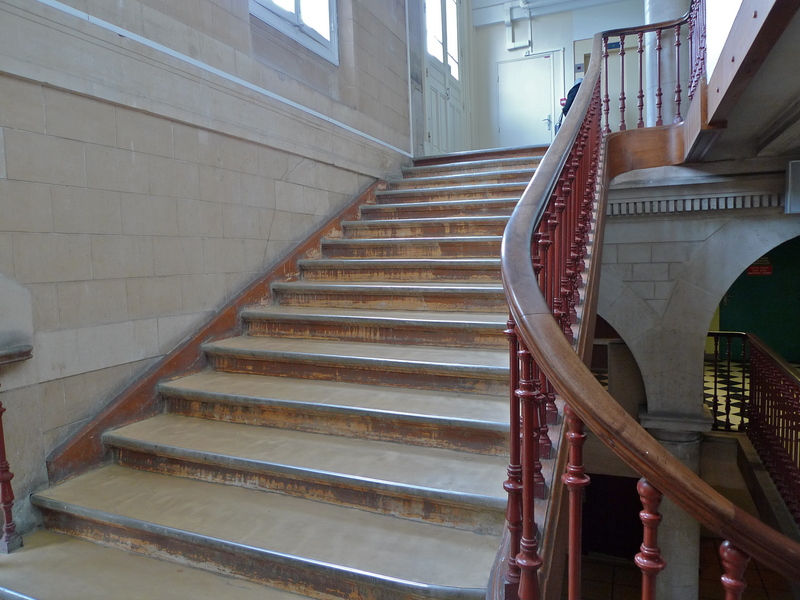 The hospital was inaugurated on 1st January 1867 and the first patient was admitted on 1st May of the same year. Most of the original buildings still exist and are still in use. 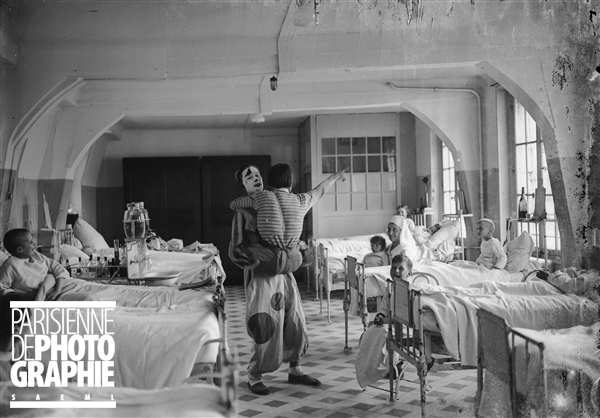 In the years that followed, the Centre Hospitalier Sainte-Anne expanded its role beyond just the psychiatric treatment of its patients. 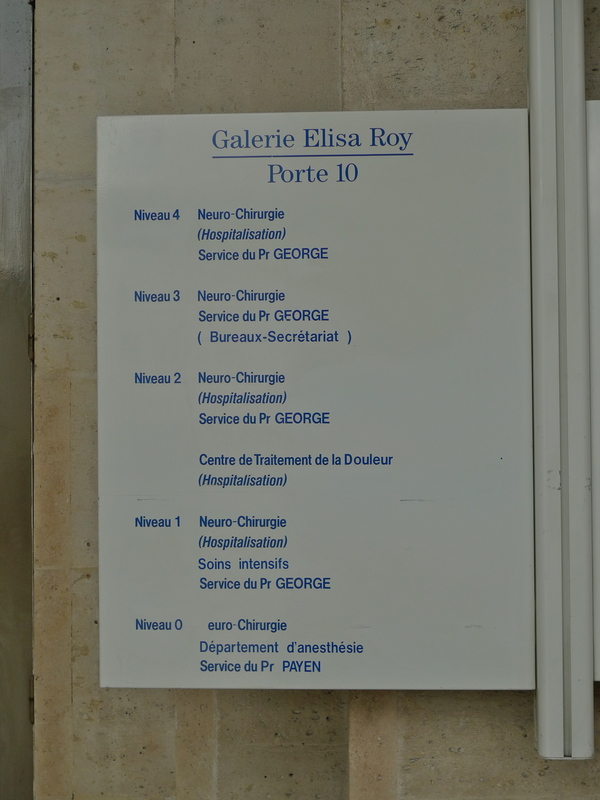 Departments for general surgery and dental surgery were created to provide treatment for patients from all the asylums in the Département de la Seine along with an obstetric department and laboratories for radiology, microphotography and biology. 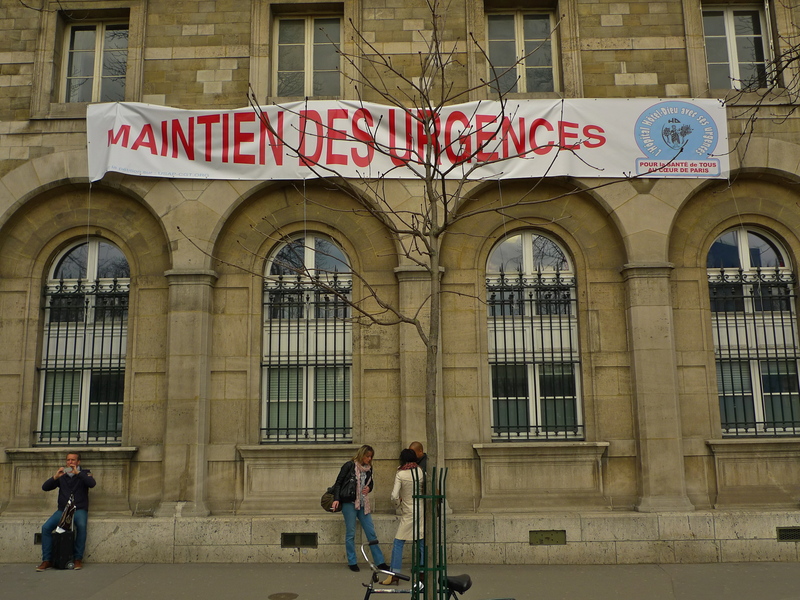 A major breakthrough occurred in 1920 when the French psychiatrist, Edouard Toulouse, set up the Comité d’hygiène mentale, a mental health committee designed to seek the most effective medical and social means for treating mental illness. 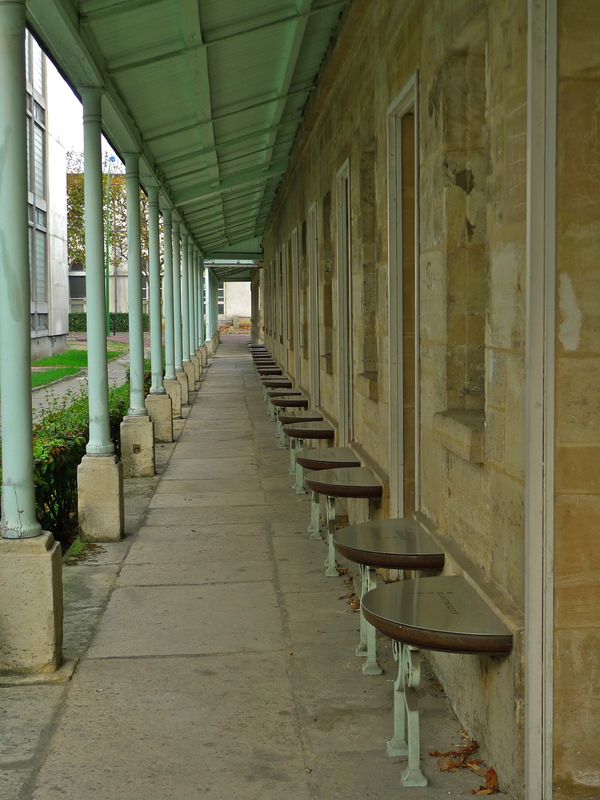 In 1922 this resulted in the Centre for mental disease prevention, which aimed to improve the treatment of patients by developing outpatient as well as inpatient centres. Another breakthrough came in 1952 when the French psychiatrist, neurologist, writer and member of the Académie française, Jean Delay, along with J. M. Harl and Pierre Deniker discovered that a high dose of chlorpromazine produced a considerable reduction in the agitation and aggression of those patients with symptoms of schizophrenia. Chlorpromazine was released onto the market in 1953 by Rhône-Poulenc and given the trade name Largactil and it’s still in use today. 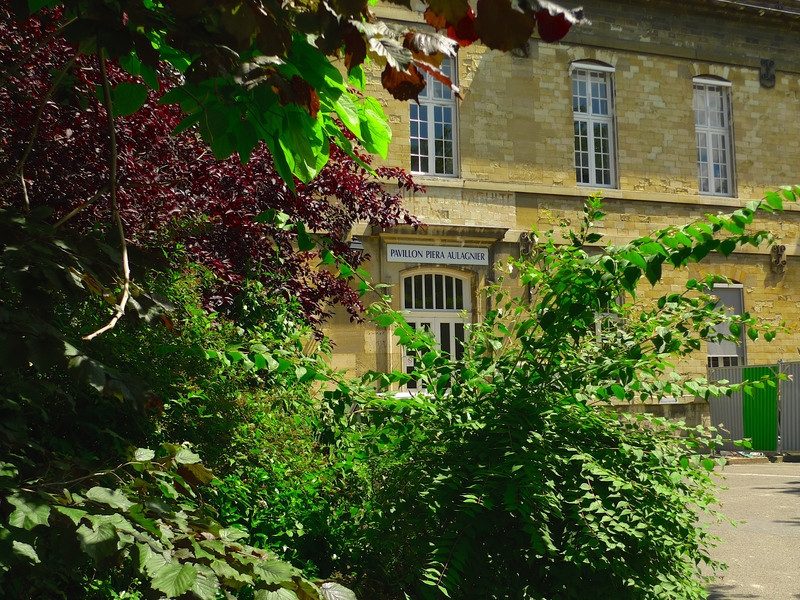 Today, the Centre Hospitalier Sainte-Anne has seven adult psychiatric units, two child and adolescent psychiatric units as well as an addiction unit. It also has centres for neurology, neurosurgery, neuroradiology, neurophysiology, neuropathology, anaesthetics, dentistry, physical medicine and rehabilitation. 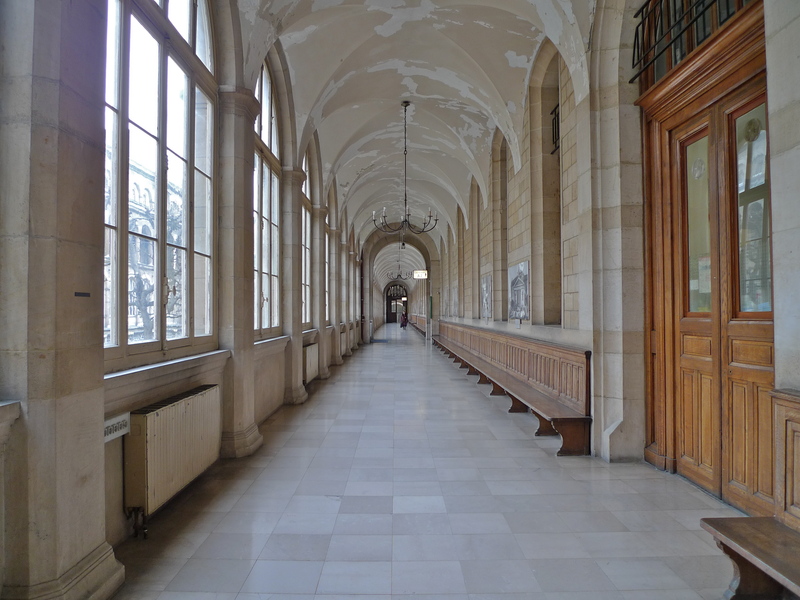 The hospital is also a teaching hospital for students of the faculty of medicine at the Université Paris Descartes. 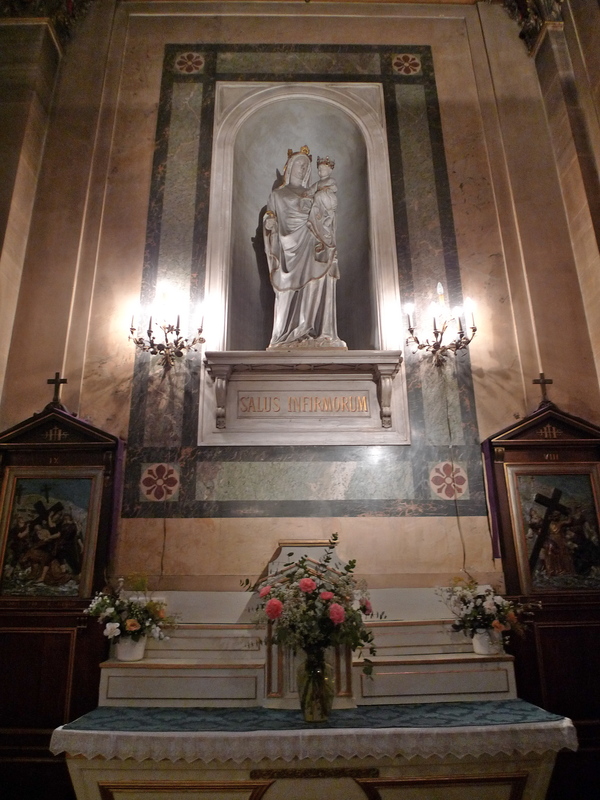 I went to explore the Centre Hospitalier Sainte-Anne and discovered that the site covers thirteen hectares (32 acres), including seven hectares (17 acres) of protected green space. 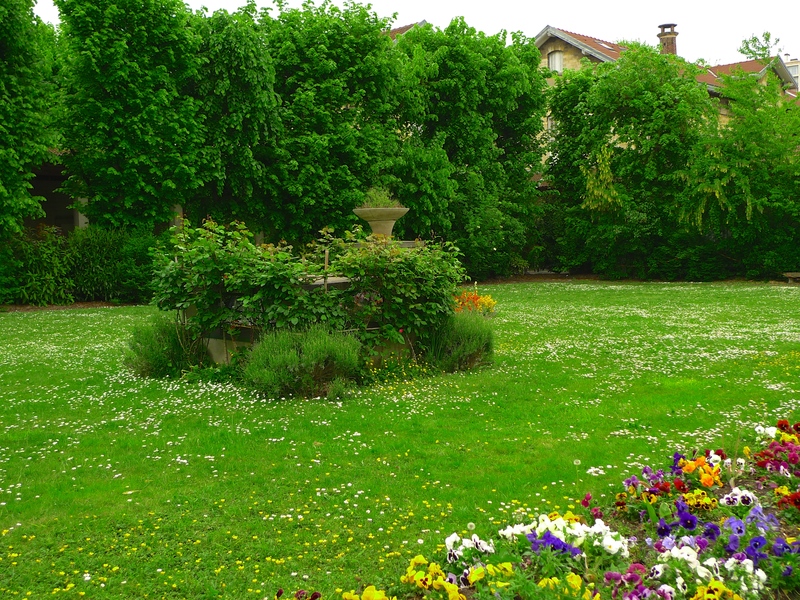 Some of this green space is reserved for patients but most of it is accessible to the public. 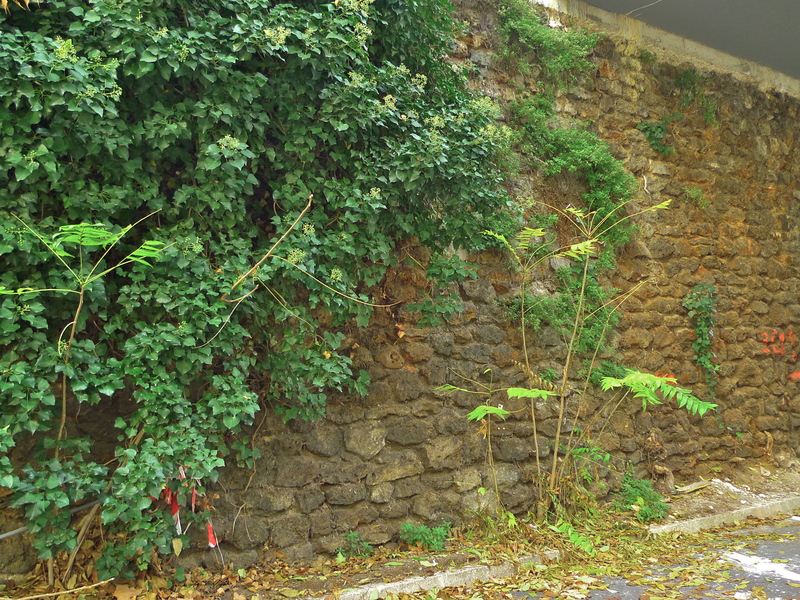 On one side of a staff car park close to the central pharmacy I discovered some sounds of summer. 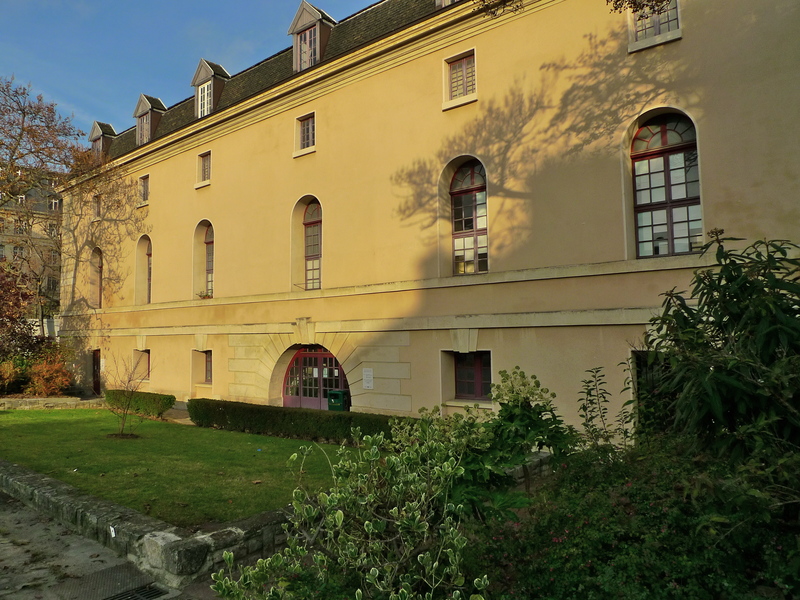 One of the modern additions to the hospital is the new home of the Clinique des Maladies Mentales et de l’Encéphale (CMME), a sixty bed psychiatric unit supervised by four university professors. 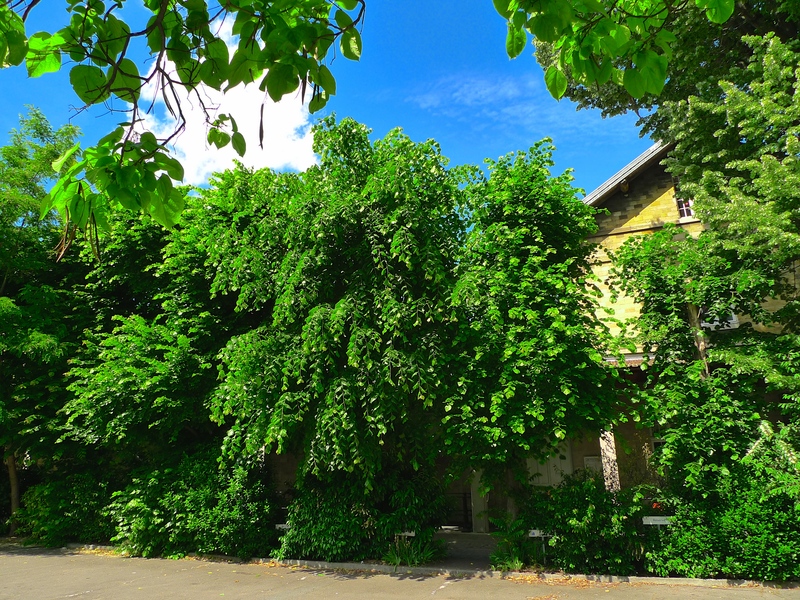 The unit specialises in four main areas; eating disorders, mood disorders (including recurrent depression resistant to treatment, seasonal affective disorder, attention deficit hyperactivity disorder and anxiety disorders), suicidal patients and addiction. The CMME is one of several new developments at the hospital so as I walked past it I was not surprised to discover the sound of construction work pervading the air. I stopped to capture the sounds of nature and construction work competing with each other. Walking around the grounds of the hospital looking at some of the original buildings I couldn’t help but imagine what this place must have been like when the treatment of mental illness was in its infancy, even though France was quite enlightened in its approach by the standards of the time. 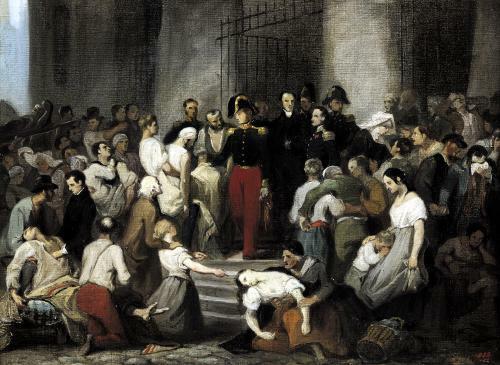 In 1838 France enacted a law to regulate both the admissions into asylums and asylum services across the country allowing mentally ill patients to gain access to treatment for their disorders in specific and appropriate institutions. This law remained in force until as late as June 1990 when it was revised. 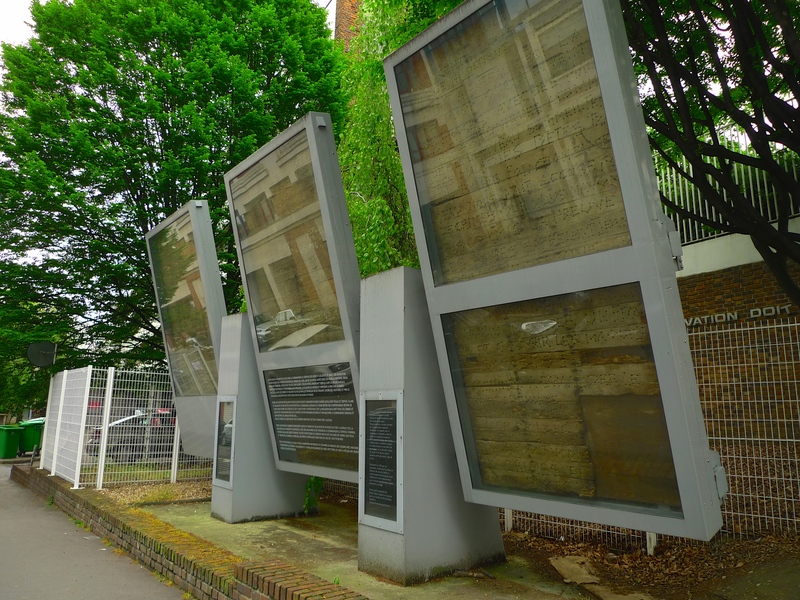 Outside the Centre Hospitalier Sainte-Anne in rue Cabanis stands the controversial Le plancher de Jeannot / Jeannot´s floor, a chilling reminder of the effect that mental illness can sometimes have. 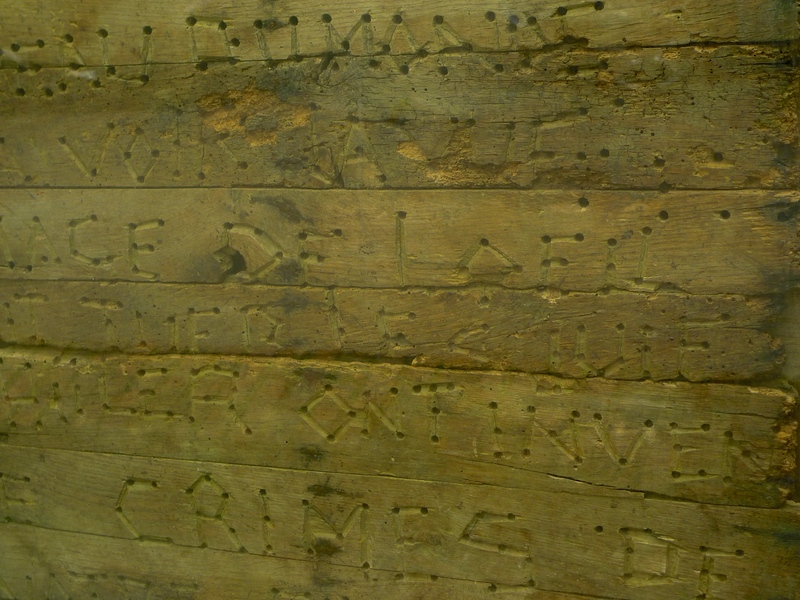 Inside the three panels are sections of a fifteen square metre wooden floor engraved with a message of eighty lines by a young man named Jeannot. Jeannot was born in 1939 in a small community in the Béarn department in the south of France where his parents owned a farmhouse and some forty hectares of land. In 1959, Jeannot’s father committed suicide. Jeannot, one of his sisters and his mother continued to live in the house but the family gradually became more and more isolated. 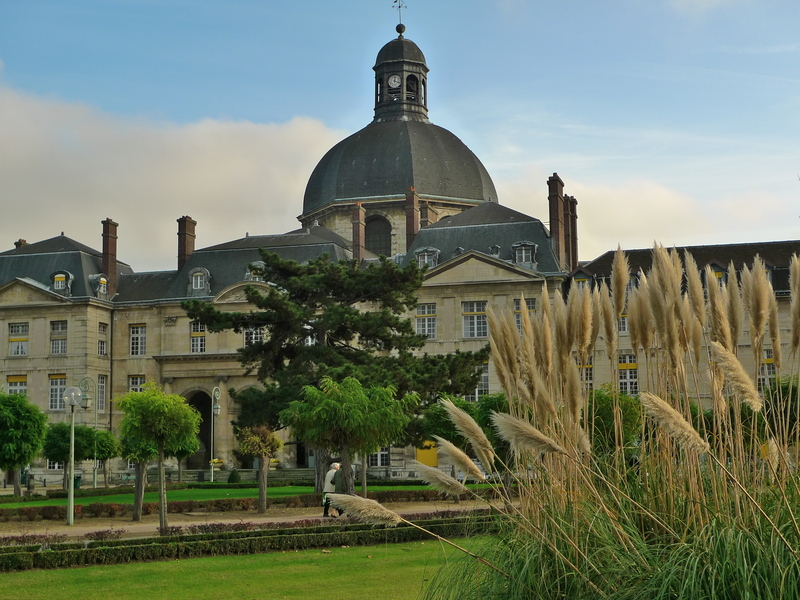 Jeannot began to exhibit paranoid behaviour and he was admitted to a psychiatric hospital but he reacted so violently that he was unable to be treated. 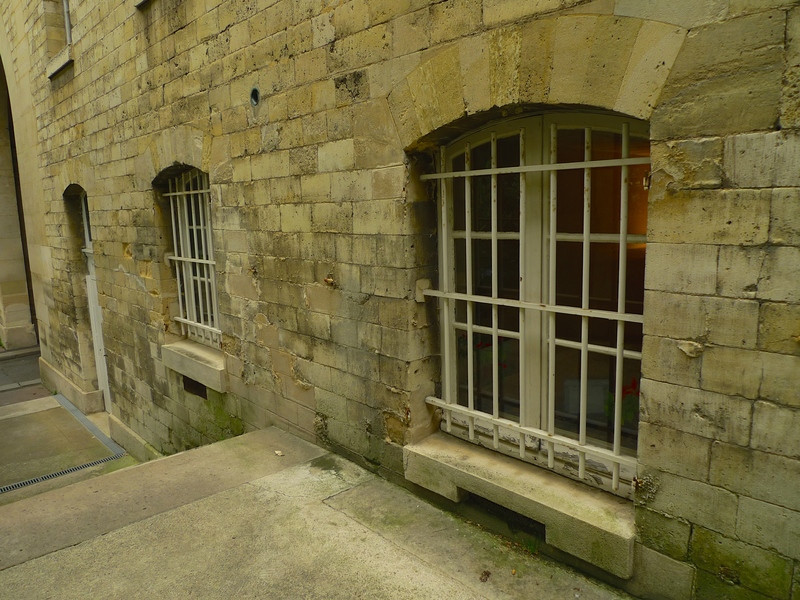 When his mother died in 1971, Jeannot buried her in the house, under the staircase. 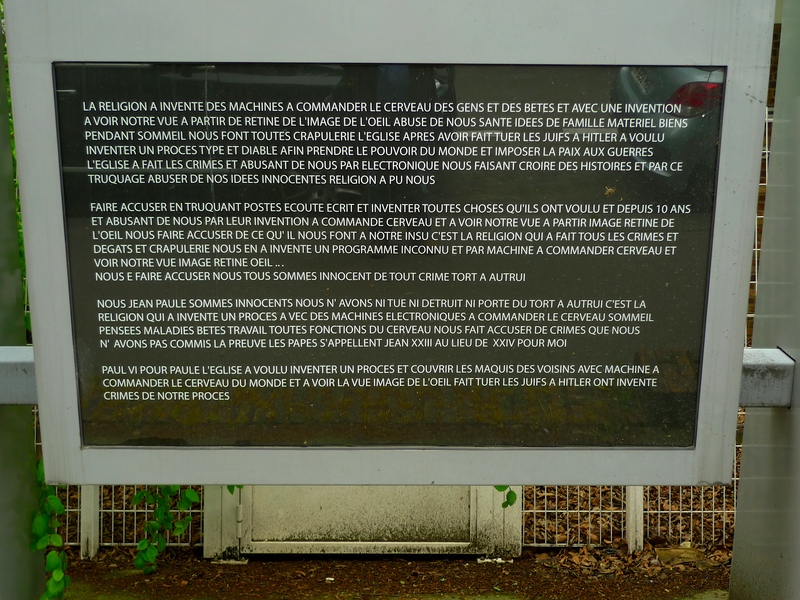 Soon after completing the text Jeannot died, probably starving himself to death. Together with his mother he was buried in the local cemetery. His sister continued living in the house, alone. She was found dead in 1993. The house was sold but the brocanteur who dealt with the house clearance noticed the inscriptions on the floor. 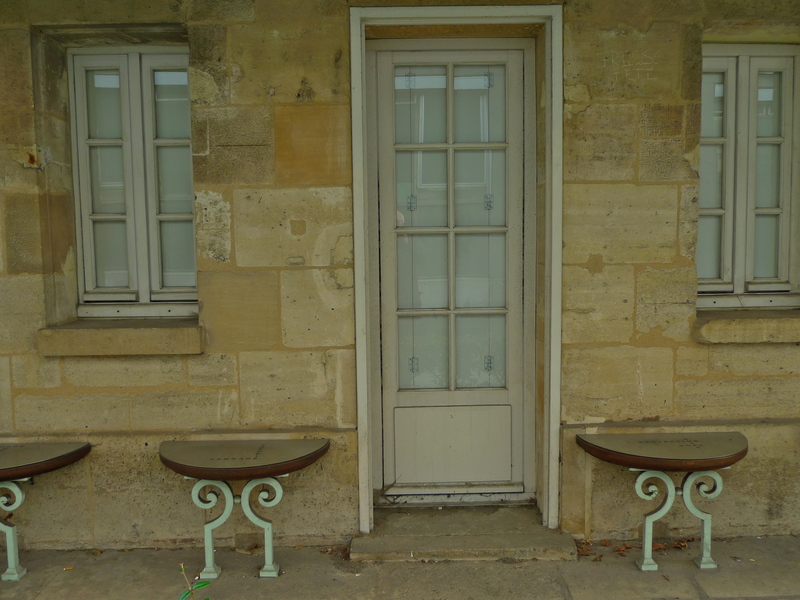 Finding this unusual, he made contact with a psychiatrist, Dr Guy Roux. Dr Roux bought the floor from the new owner of the house. He later sold it to the pharmaceutical company Bristol Meyer Squib. 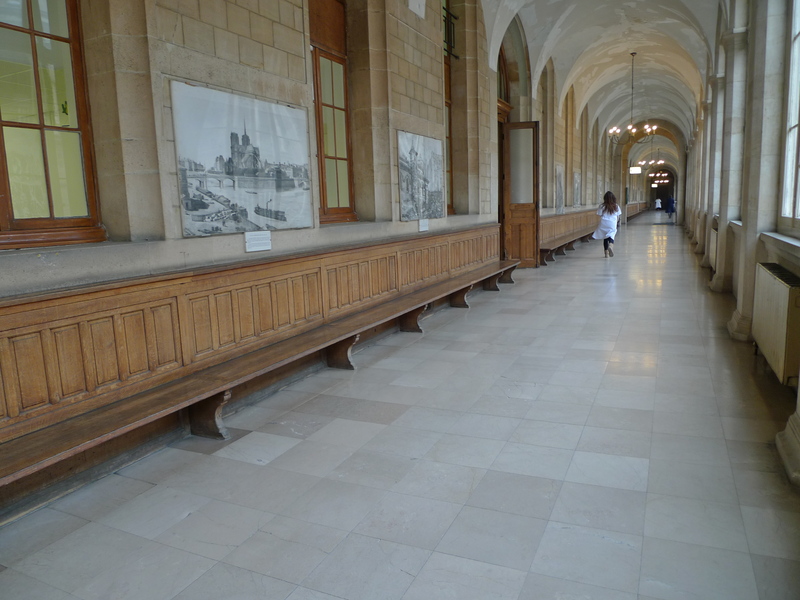 Le plancher de Jeannot was exhibited for the first time in the year 2000 at an international psychiatric congress in Paris as part of an exposition entitled 50 ans d´expression en milieu psychiatrique. 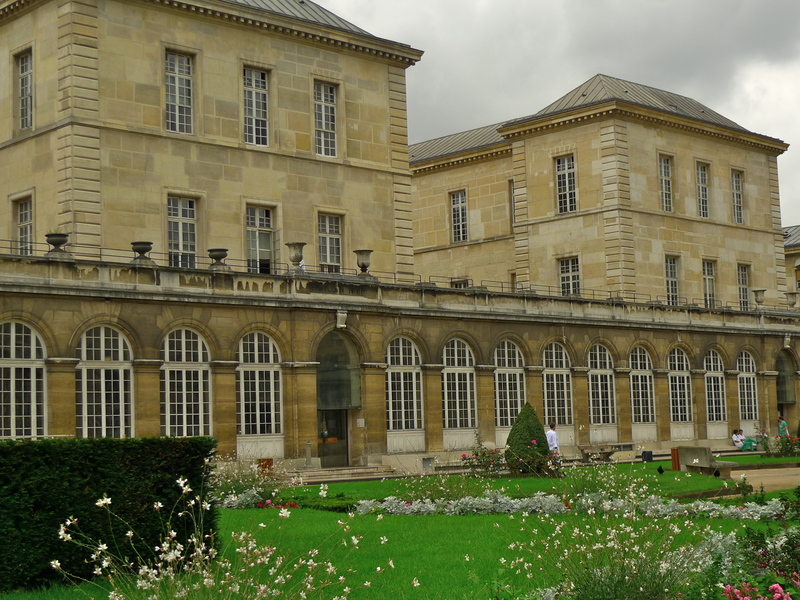 It was later exhibited in the Bibliothèque Nationale in Paris where it gave rise to a heated public debate around the question: is it acceptable to present as a work of art the expression of someone in such psychological distress? 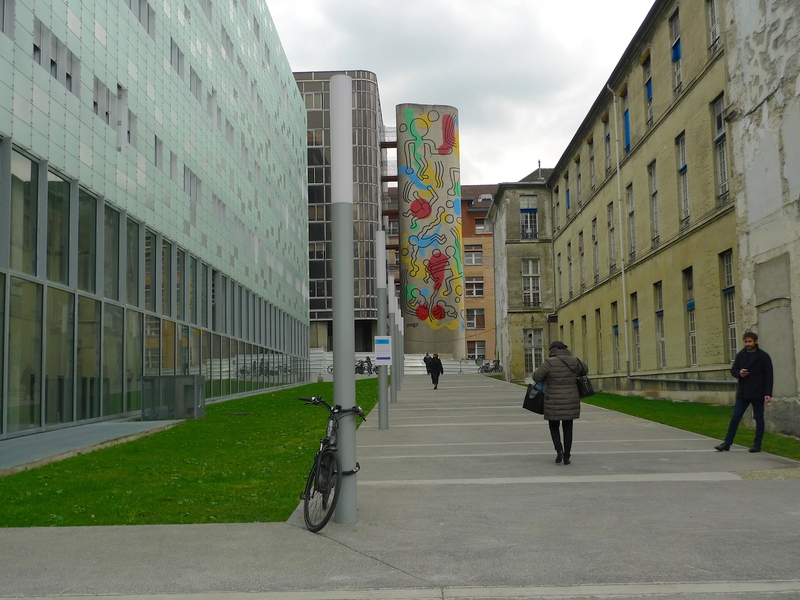 In 2007, Jean Pierre Olié, professor of psychiatry and chief psychiatrist of the Centre Hospitalier Sainte-Anne became involved and it was arranged that the floor, cut into three parts, should be put on display outside the hospital in the rue Cabanis. The days of ‘lunatics’ and ‘asylums’ may be gone but the shame and stigma surrounding mental illness still persists. It may be less now than in the past but it’s still there. 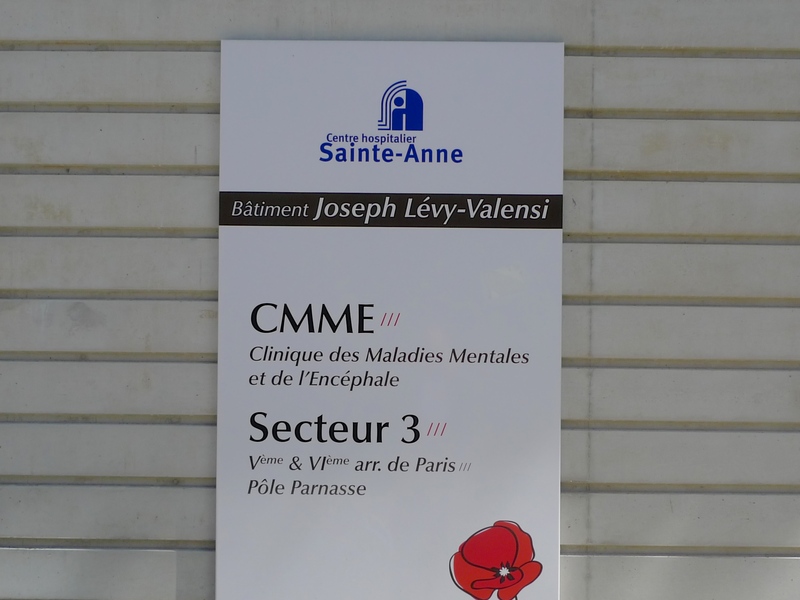 Institutions like the Centre Hospitalier Sainte-Anne have contributed significantly to the diagnosis and treatment of mental illness but it’s up to of the rest of us to come to terms with the fact that mental illness is exactly what it says, an illness – an illness that one in five of us will suffer from at some point in our lives. “Mental illness is nothing to be ashamed of, but stigma and bias shames us all”. SUZANNE CURCHOD (1737 – 1794) was a French-Swiss woman of letters and hostess of one of the most celebrated salons of the Ancien Régime. 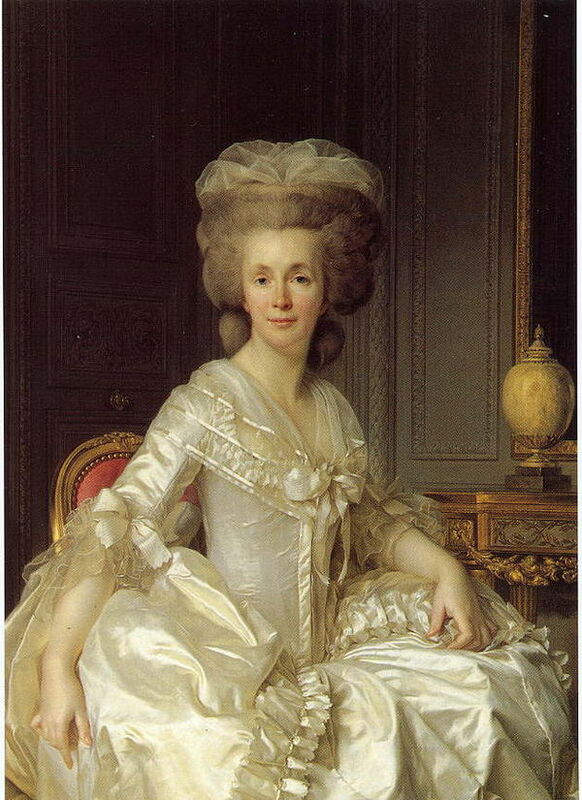 She was also the wife of Jacques Necker, Controller-General of Finances under Louis XVI. 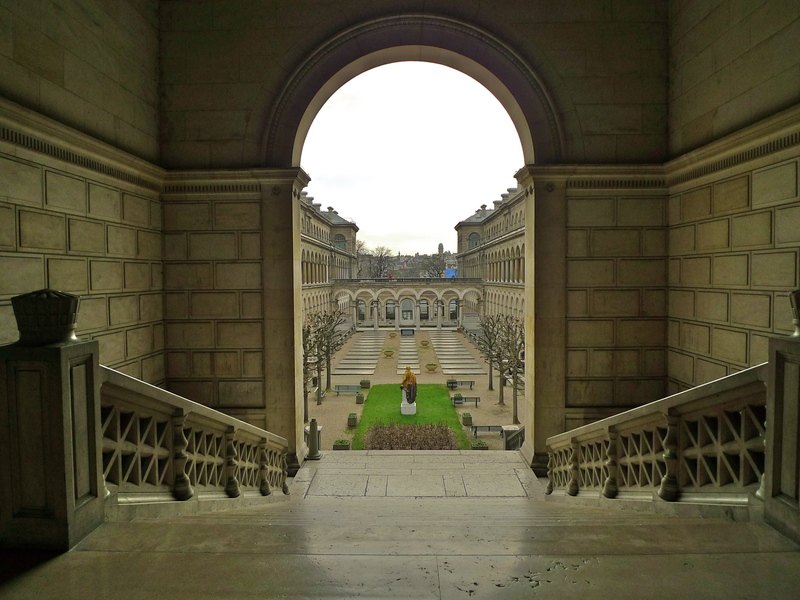 After her husband’s fall from power in 1790, the Neckers left Paris and returned to Switzerland. 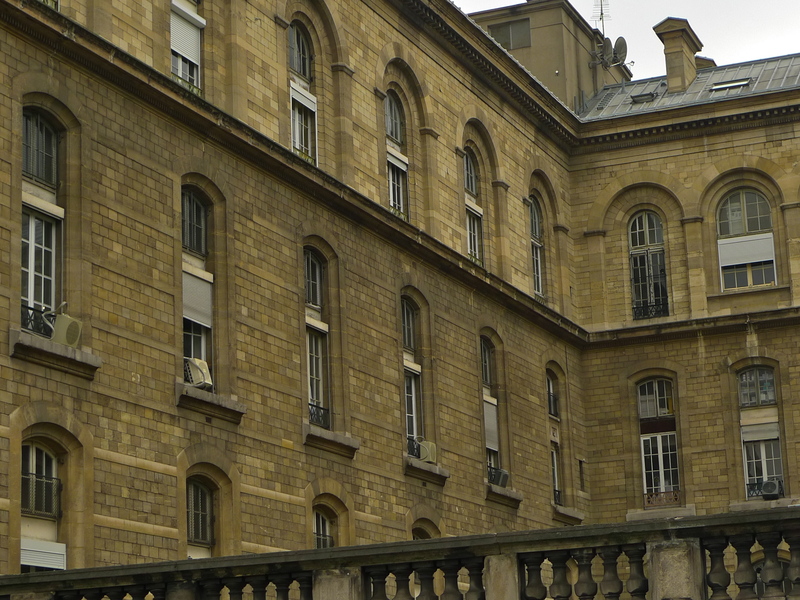 Suzanne died in 1794 but not before she had founded a hospital in Paris that still bears her name, the Hôpital Necker. 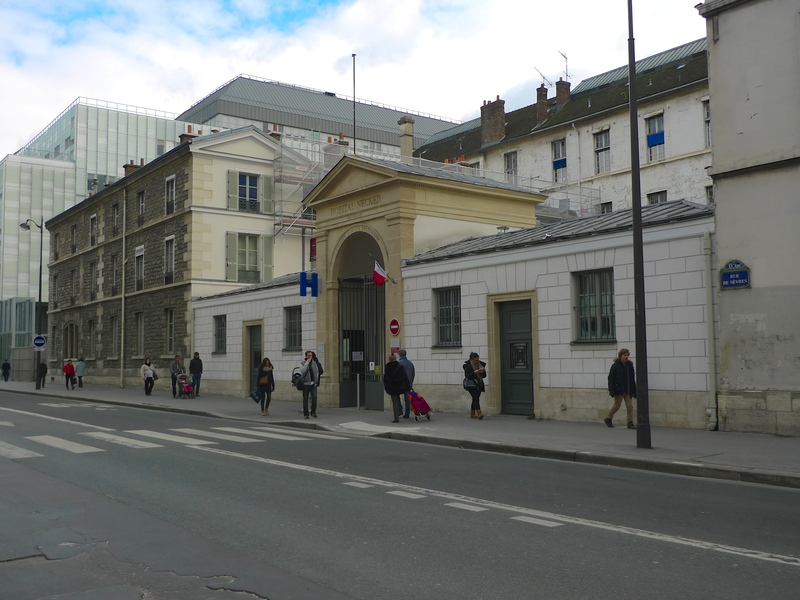 The Hôpital des Enfants Malades (hospital for sick children) was created by the Conseil général des Hospices in January 1801 on the site of a former hospice for abandoned children, the Maison Royale de l’Enfant Jesus. 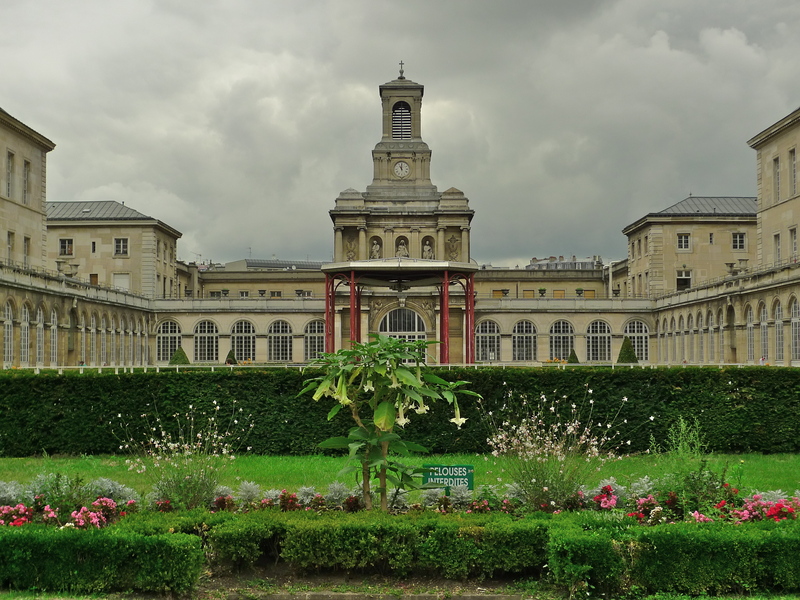 The newly formed hospital, believed to be the oldest children’s hospital in the world, opened in June 1802 catering for 149 boys and 92 girls aged from 2 to 14 years old housed in separate wings, each containing 30 to 40 beds. 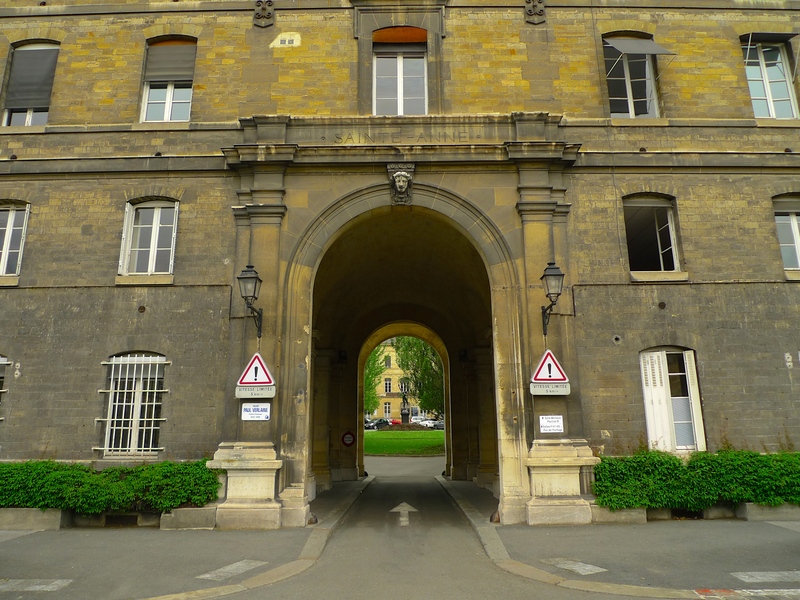 On 1st January 1927 the Necker hospital for adults and the Hôpital des Enfants Malades were merged to become the Hôpital Necker – Enfants Malades, the name by which its still known today. 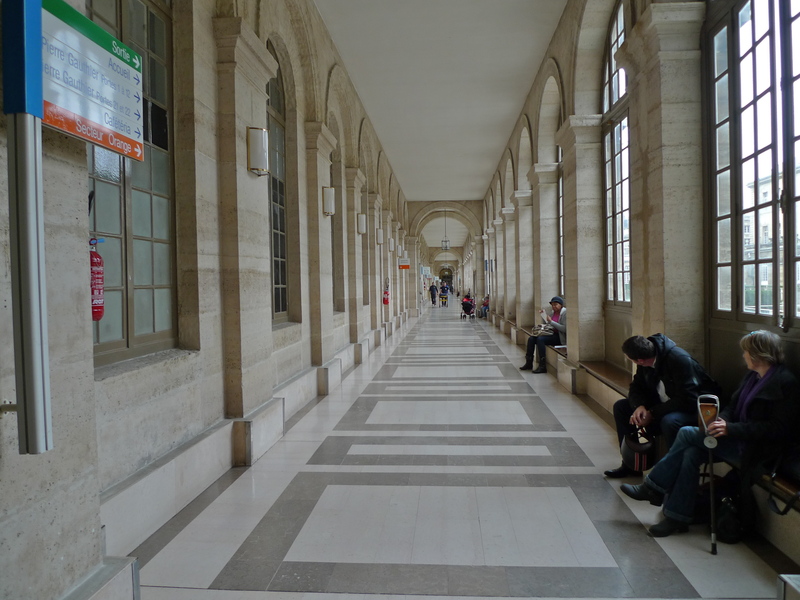 Today, the Hôpital Necker – Enfants Malades is a university teaching hospital affiliated to the prestigious Université Paris Descartes and it’s part of the public hospital system, the Assistance Publique – Hôpitaux de Paris. The hospital has 400 beds for children and 200 beds for adults. It is one of the world’s leading institutions for paediatric medicine and surgery and it’s a referral centre for some rare diseases and particularly complex conditions. 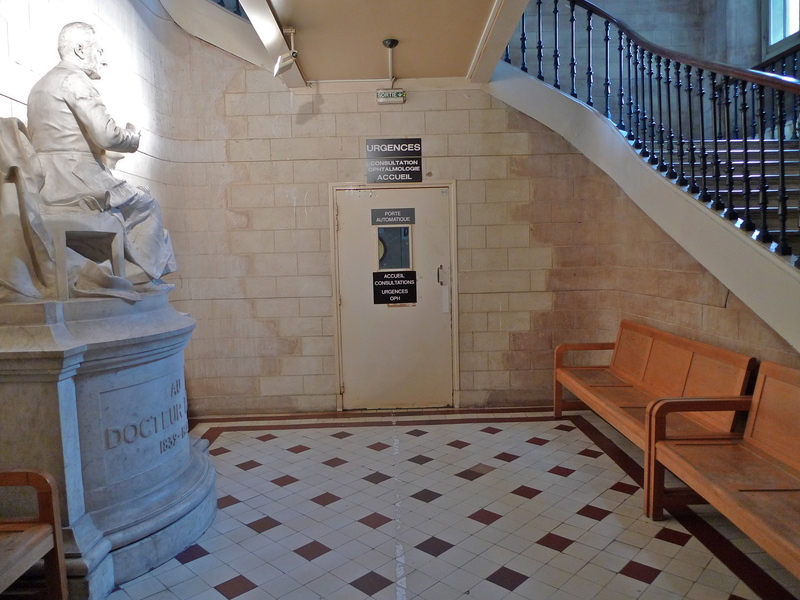 Over the years, many eminent physicians and surgeons have worked at the hospital but perhaps none more eminent than the French physician, René-Théophile-Hyacinthe Laennec (1781 – 1826). In 1816, while working at the hospital, Laennec invented the stethoscope and pioneered its use in diagnosing various chest conditions. 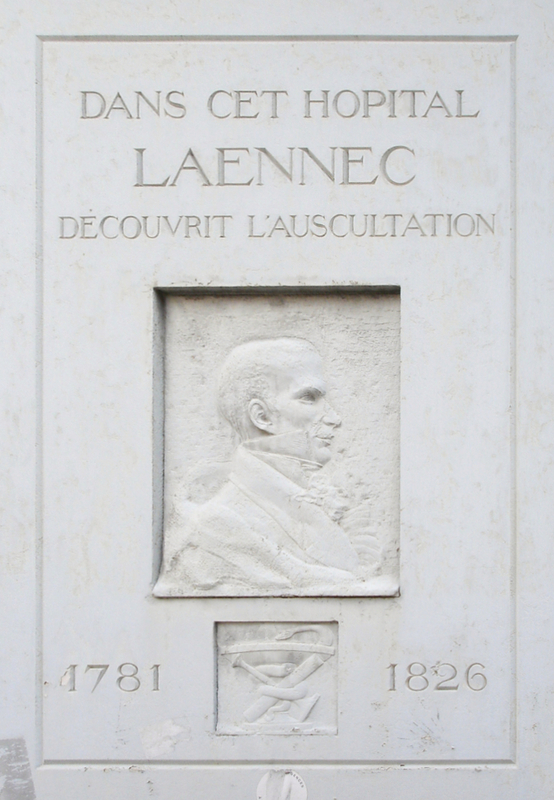 As well as having a plaque to mark his invention, Laennec has more recently been distinguished by having the new Pôle Mère-Enfant Laennec named after him. 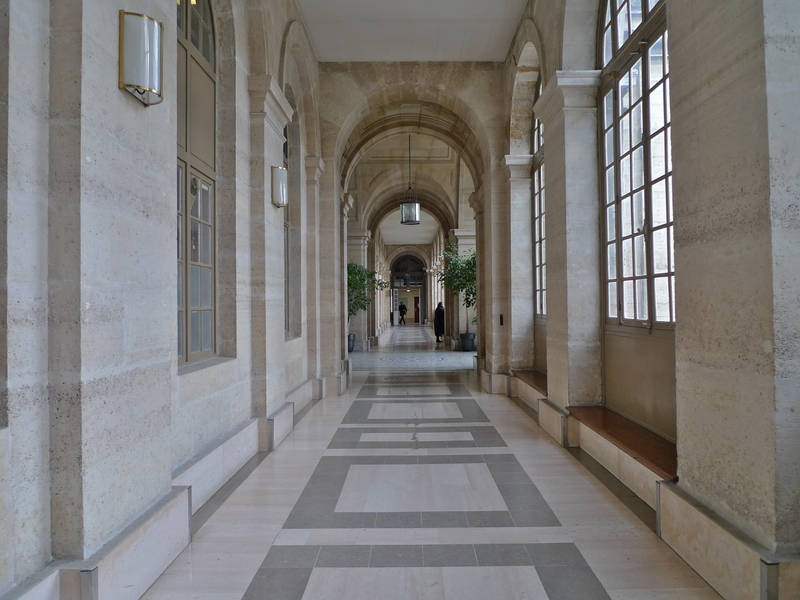 This 54,000 M2 facility was opened on 10th July 2013 by François Hollande, Président de la République. 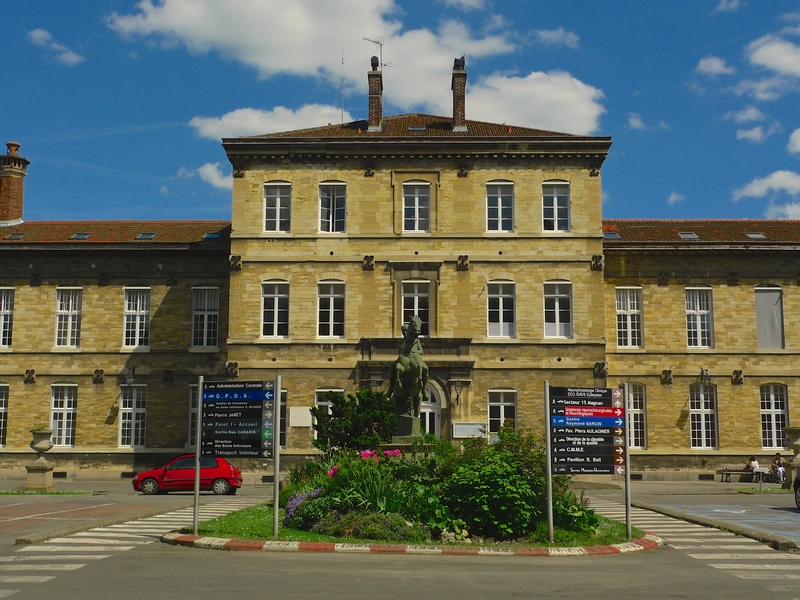 At a total cost of 215.4 million Euros, the Pôle Mère-Enfant Laennec caters for paediatric surgery, infant resuscitation, accident and emergency, paediatric imaging, cardiology, nephrology, gastroenterology, maternity and neonatology. It has been designed to centralise these paediatric specialities so as increase the efficiency of clinical care and to reduce the time required to get that care to patients. Special emphasis has also been put on the comfort of the patients and the parents with individual rooms designed on a parent-child-carer model. 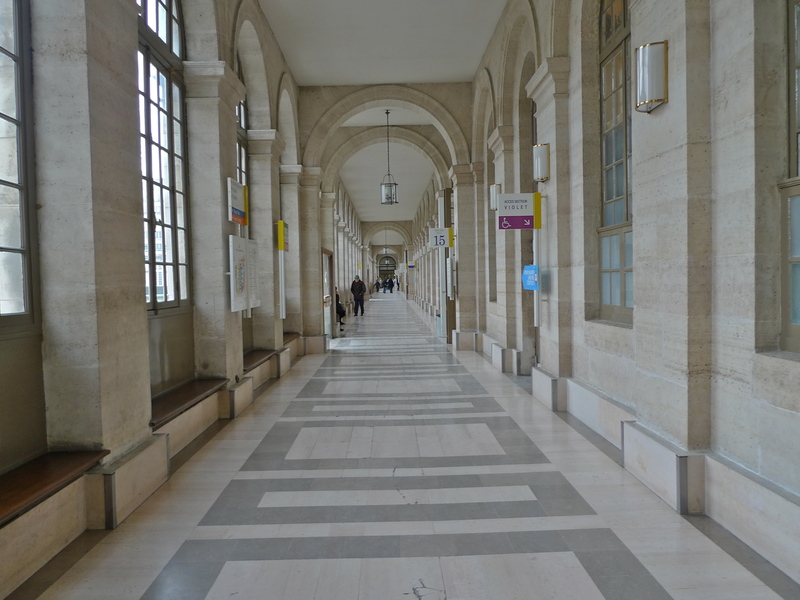 On my visit to the Hôpital Necker – Enfants Malades I went into the reception area of the Pôle Mère-Enfant Laennec to record some of the atmosphere. 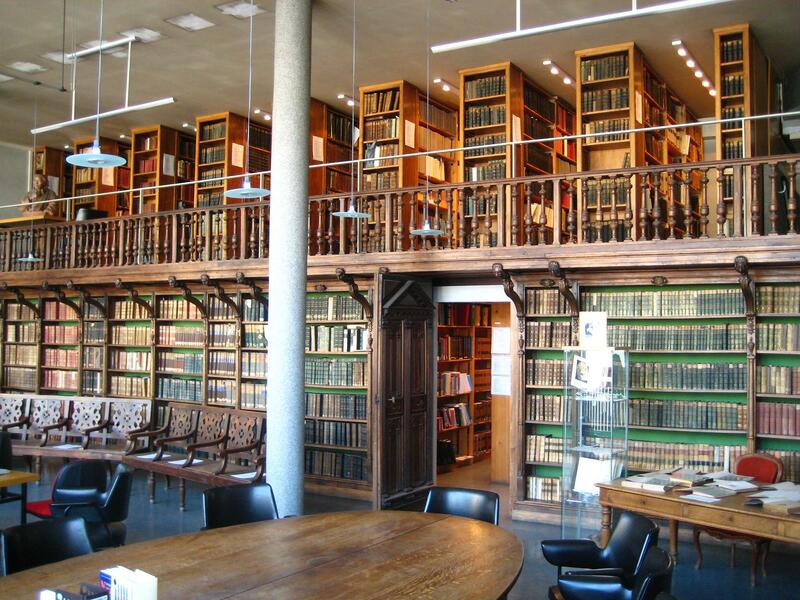 The reception area is spacious and well-lit with a cafeteria and bookstall, a gift shop, a reading room full of children’s books, a large children’s play area and a quiet room for mothers and children. Entry into the unit is via huge automatic glass doors that open and close with a gentle swish as people pass through. 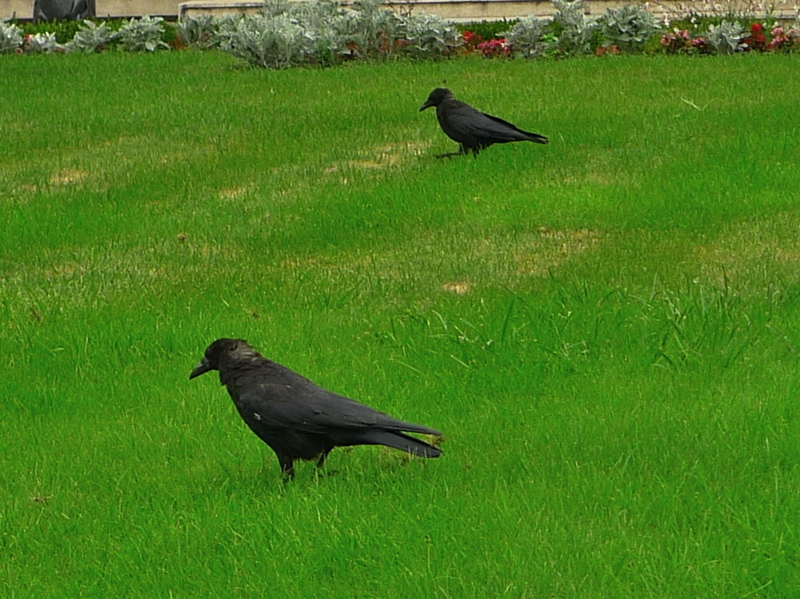 You can hear these swishing sounds in my recording. 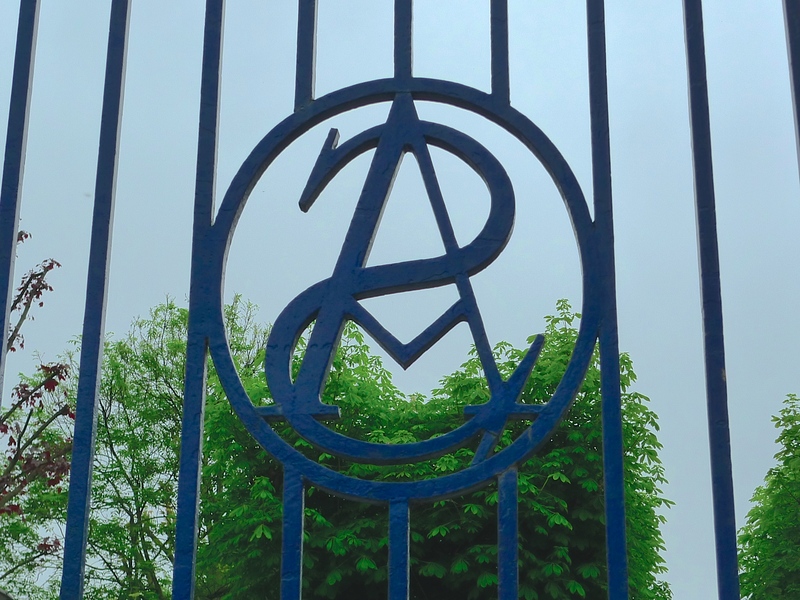 These sounds must surely be one of the defining sounds of this place although I suspect that those who come here with much more pressing things on their mind will scarcely be aware of them. I ALWAYS THINK it’s better to visit a hospital out of curiosity rather than out of necessity. 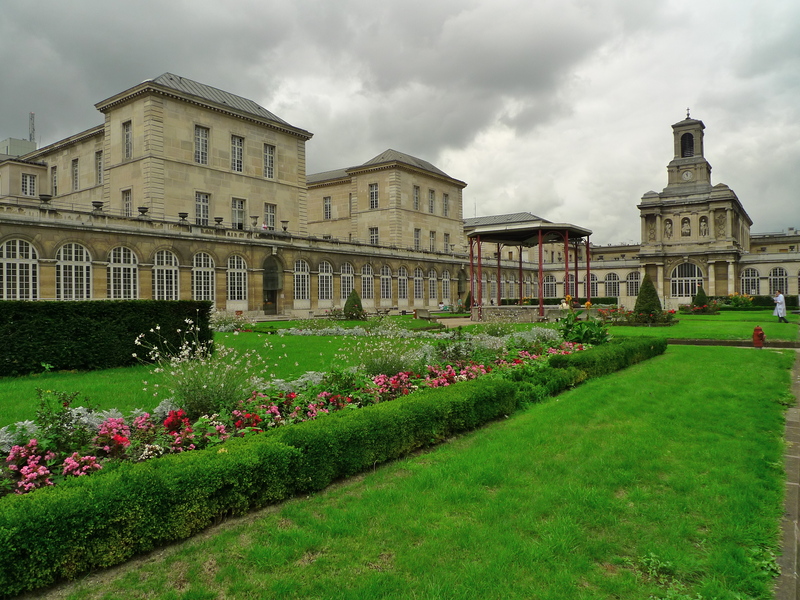 The other day it was curiosity that led me to the Hôpital Lariboisière in the 10th arrondissement a short step away from the Gare du Nord. 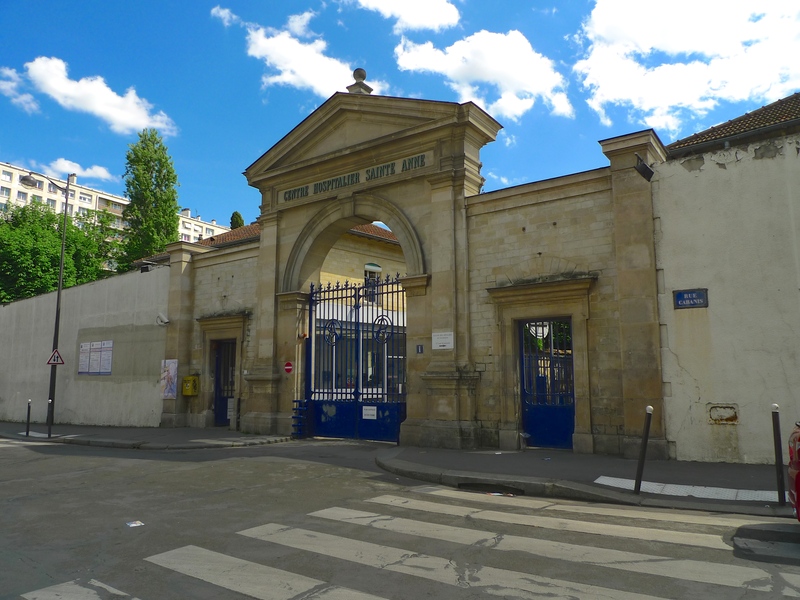 The Hôpital Lariboisière was born out of the cholera epidemic that hit Paris in 1832. 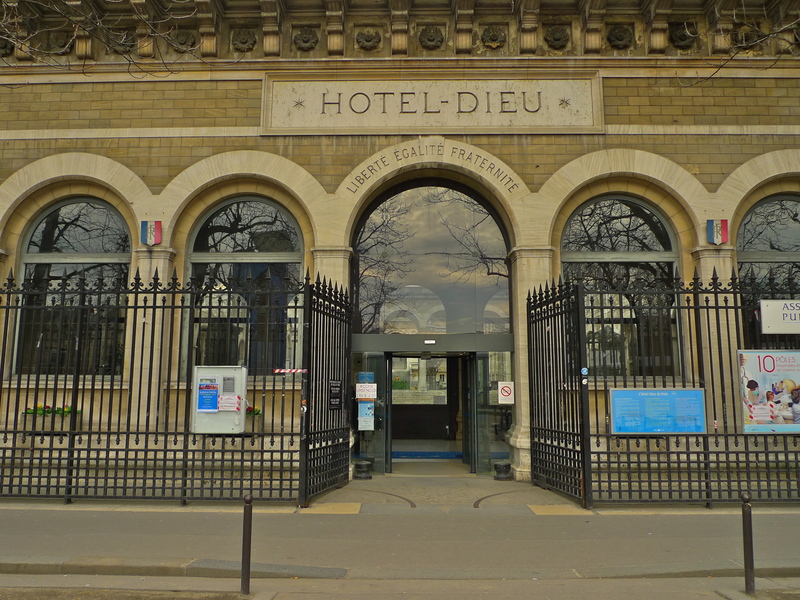 The Hôtel Dieu, the oldest hospital in Paris, took the brunt of the epidemic and it is said that by the end of March 1832 every admission to the Hôtel Dieu was for cholera and practically no one was discharged. Almost 20,000 souls died from the six-month epidemic. Devastating though it was, the epidemic did produce some positive results. In the 19th century curing cholera was like clutching at straws so attention turned towards prevention rather than cure. 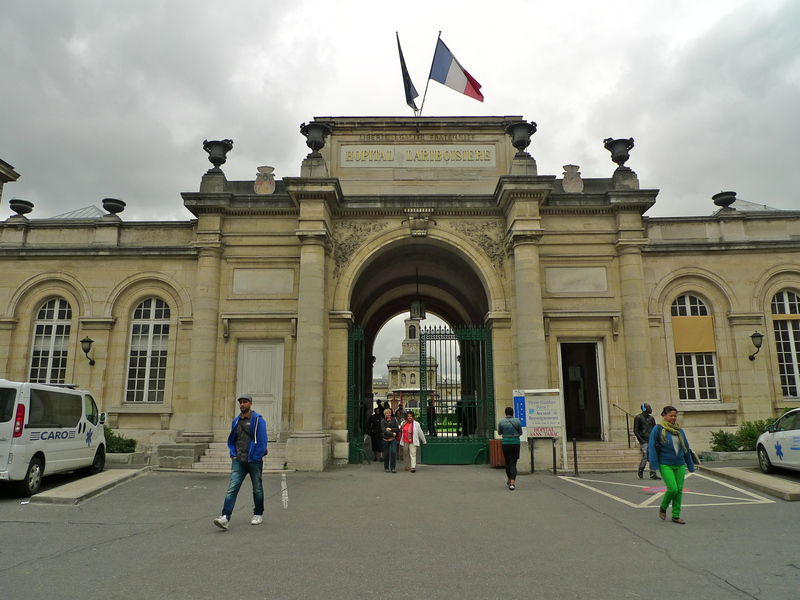 Major steps were taken to improve the city’s hygiene and by the time Baron Haussmann began rebuilding Paris in 1853 the hygienist movement had become the major force in urban planning. 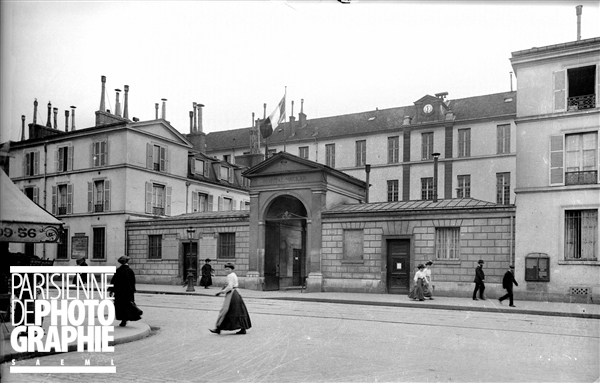 Slums were demolished, streets widened, the sewage system improved and a new hospital was built to serve the inhabitants on the Right Bank – the Hôpital Lariboisière. 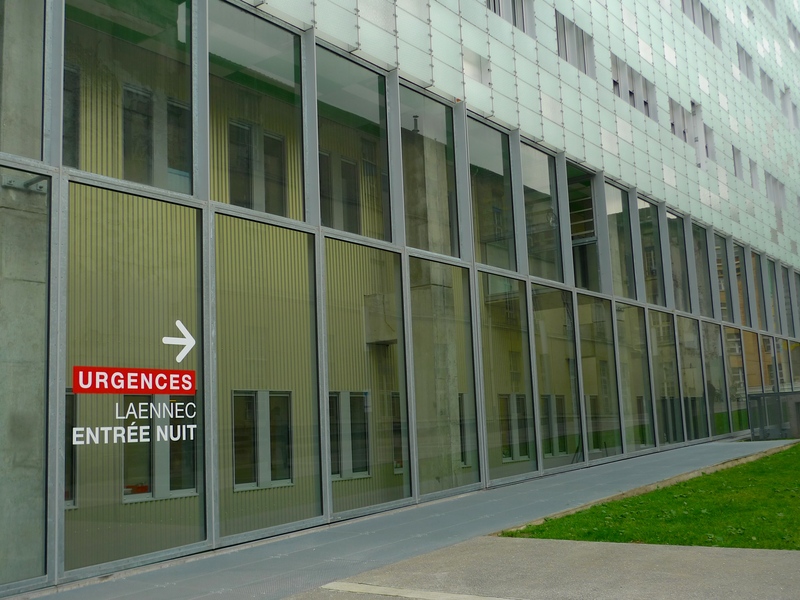 The French architect, Martin-Pierre Gauthier, designed the new hospital based on the hygienist principles of providing plenty of light and air, a free flow of water and pavilions separated by galleries to prevent cross infection. 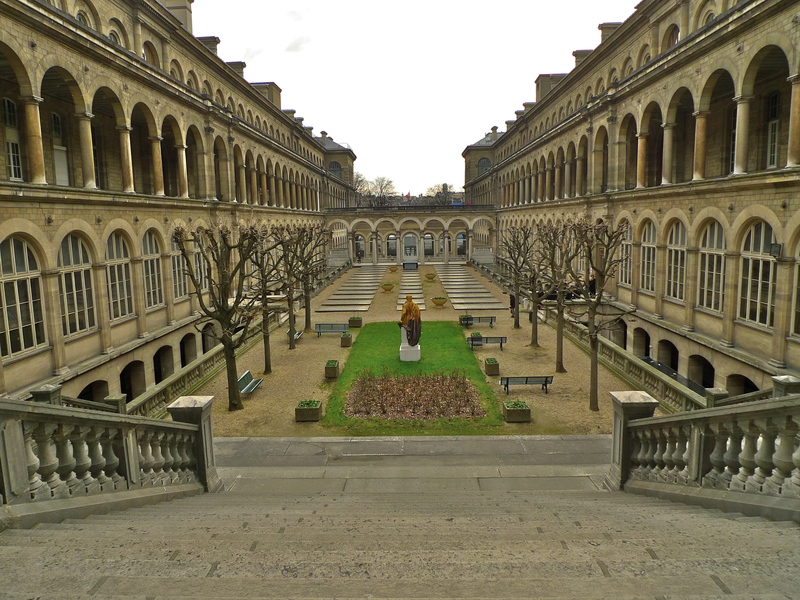 His design comprised six buildings arranged around a central courtyard connected by colonnaded walkways. 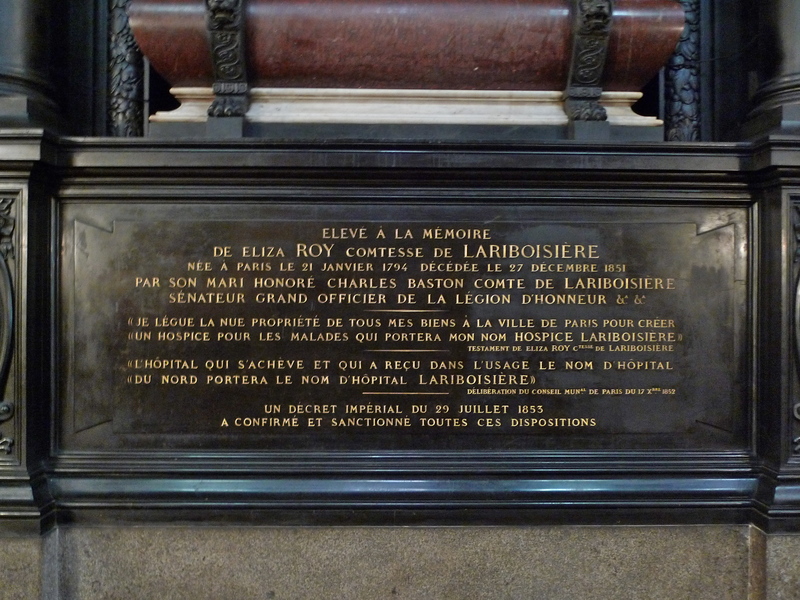 A bequest from Eliza Roy Comtesse de Lariboisière financed the building of the hospital. 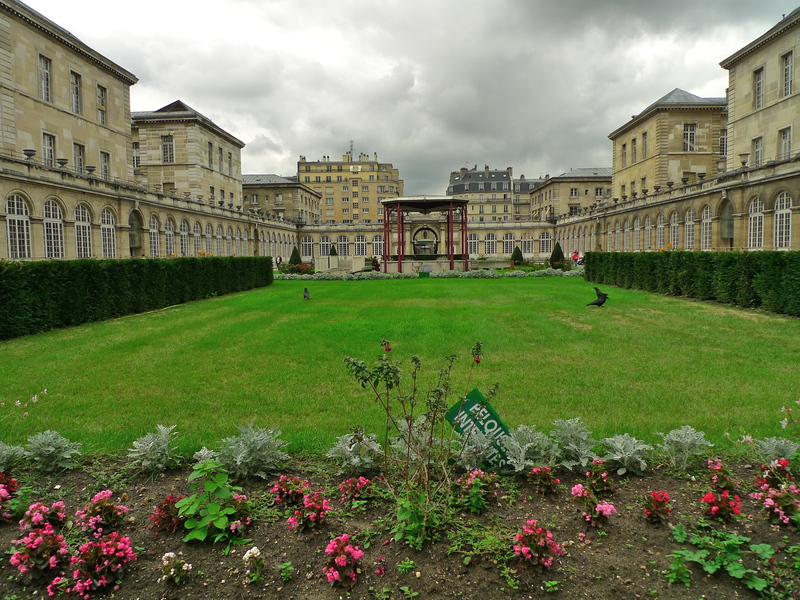 The Comtesse had no heirs and so she bequeathed her fortune to the City of Paris to create ‘un hospice pour les malades qui portera mon nom Hospice Lariboisière’. 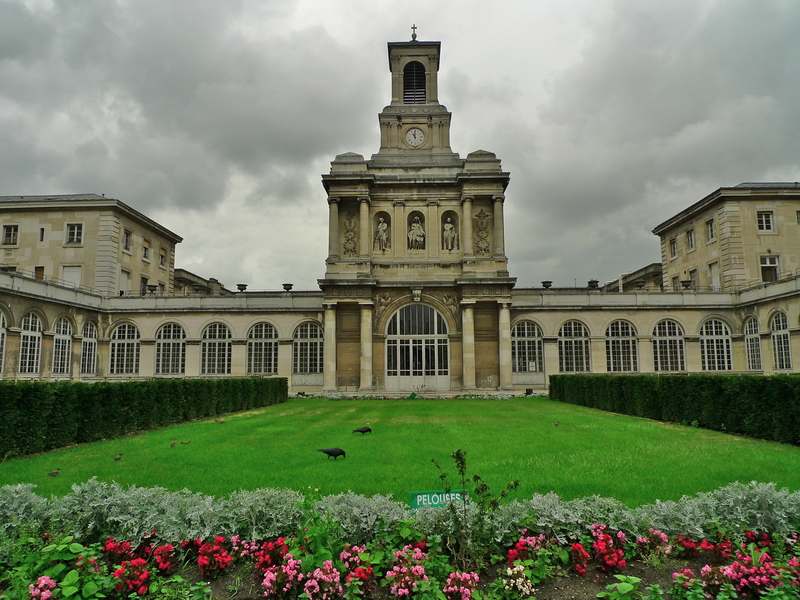 The Comtesse died on 27th December 1851 and on 29th July 1853 an Imperial decree confirmed that the hospital was to be named Hôpital Lariboisière, the name by which it’s still known today. The hospital was opened in 1854. 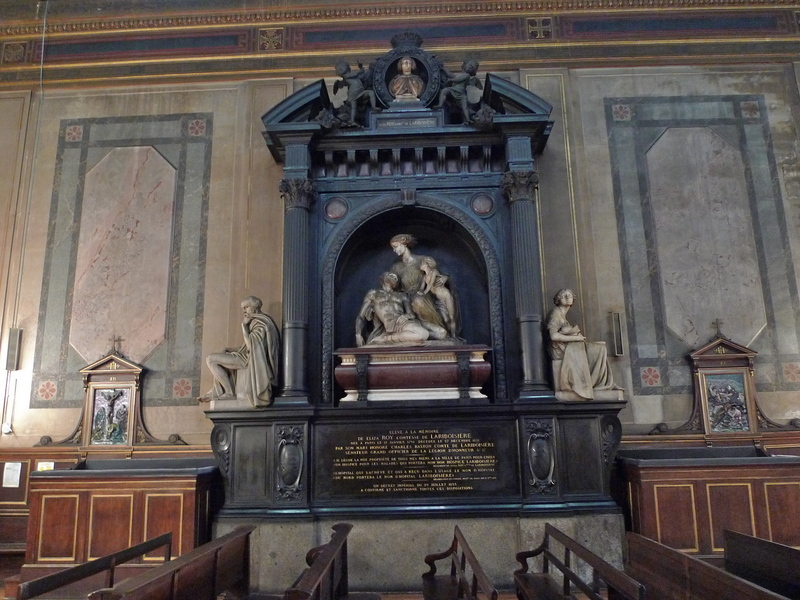 The tomb of the Comtesse de Lariboisière, designed by the Italian born French sculptor, Carlo Marochetti, rests in the hospital chapel. 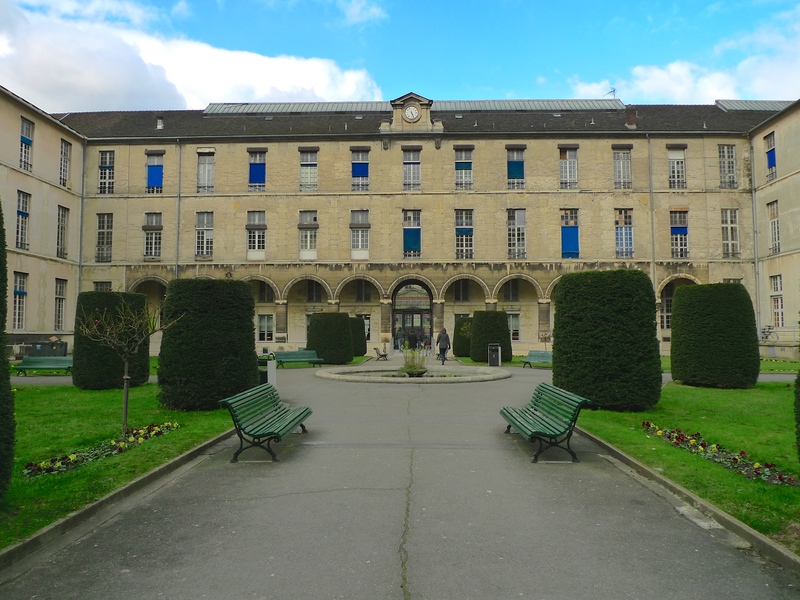 Today, behind it’s 19th century façade, the Hôpital Lariboisière is a busy, modern hospital with around 1,000 beds. 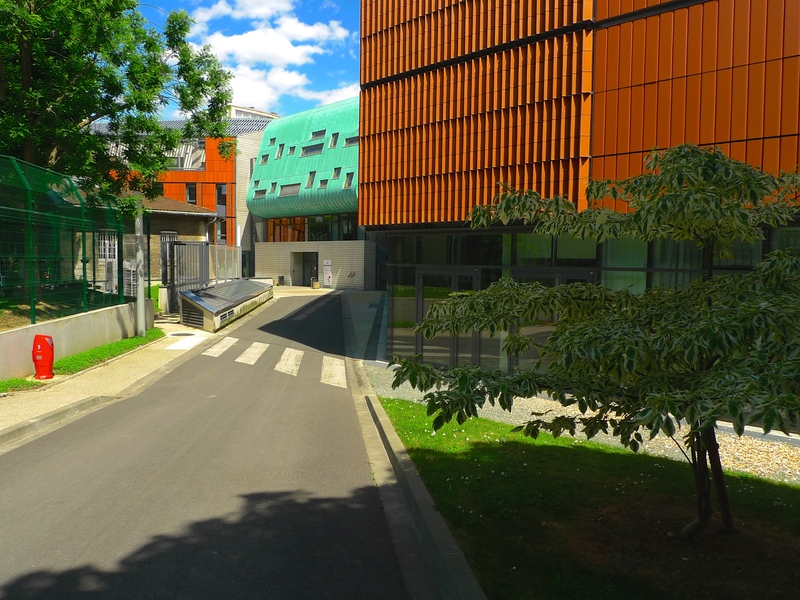 Together with two other hospitals very close by, Hôpital Saint-Louis and Hôpital Fernand Widal, the Hôpital Lariboisière is part of the Groupe Hospitalier Universitaire Saint-Louis, Lariboisière, Fernand Widal, which together offer a comprehensive range of medical services. 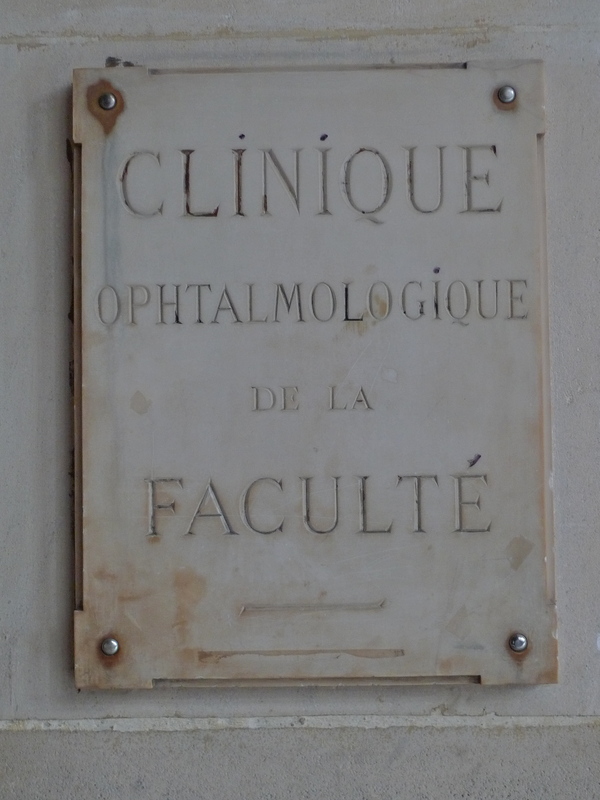 I went to explore the Hôpital Lariboisière. 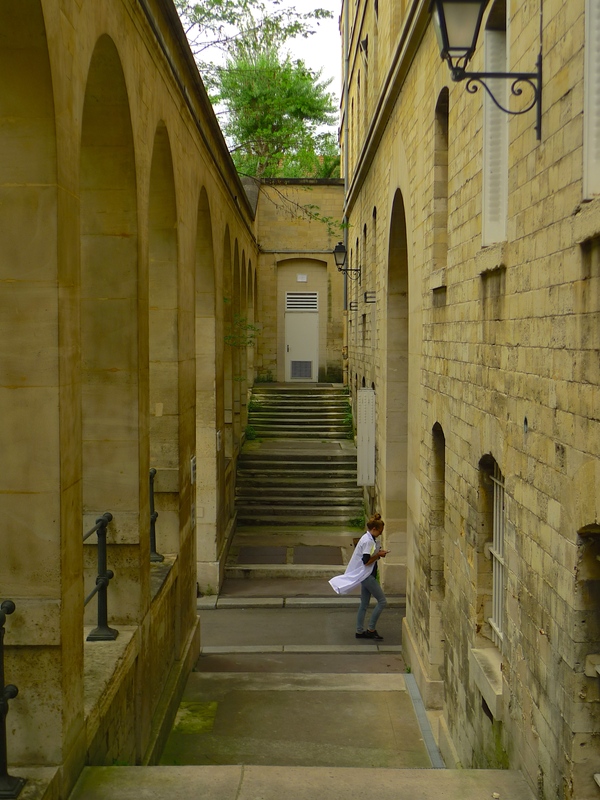 I wandered through the gardens outside and along the quadrangle of long corridors inside on the ground floor, the arteries that lead to the ars medicina beyond. Here are some of the sights and sounds I discovered.